This vintage decanter set was made by Avon. 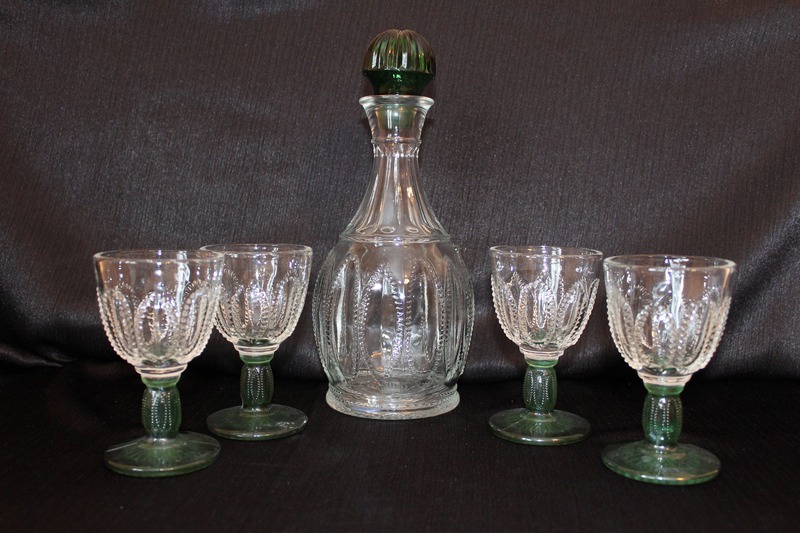 It features a heavy solid glass decanter, stopper and four goblets. 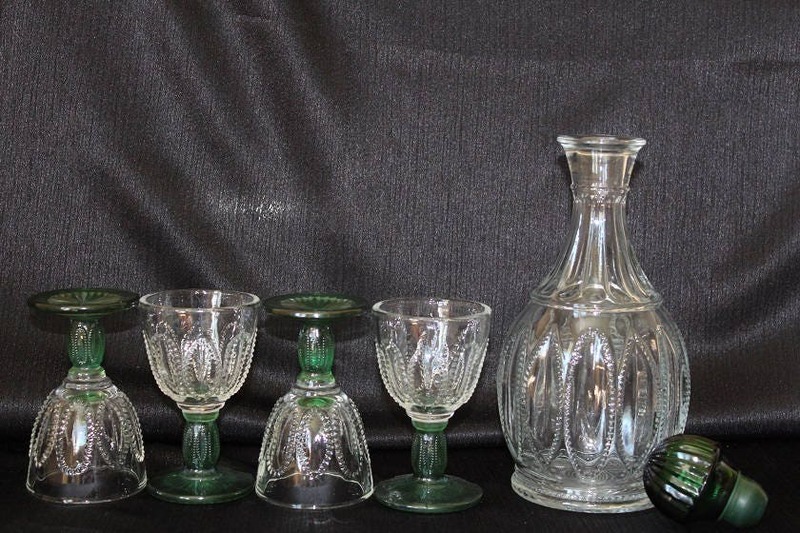 The pieces are a pressed glass with a clear vertical hobnail pattern which circles around the goblets and the decanter. 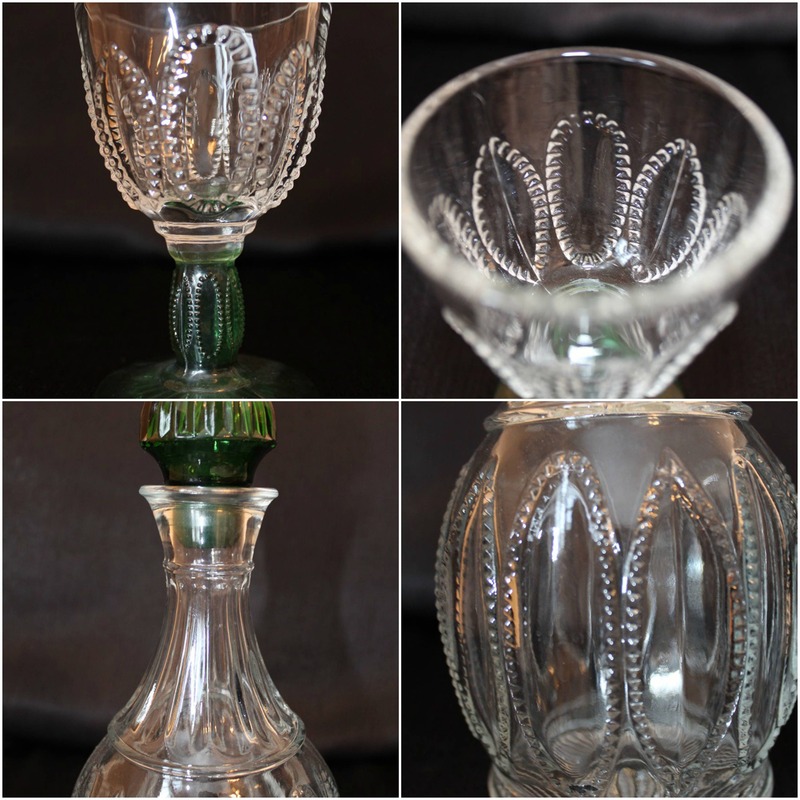 This set is accented in dark green on the stems, base of the footed goblets and the stopper. 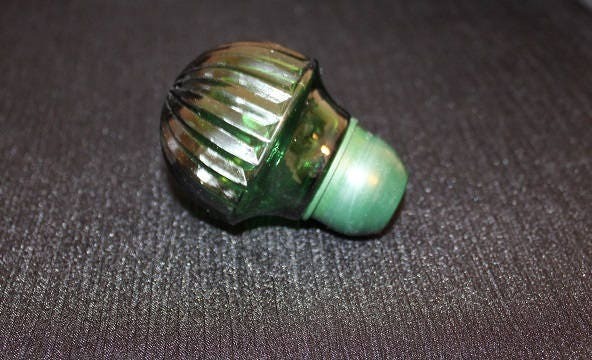 The stopper has a pressed line design and rubber tip. It fits tight inside the decanter. 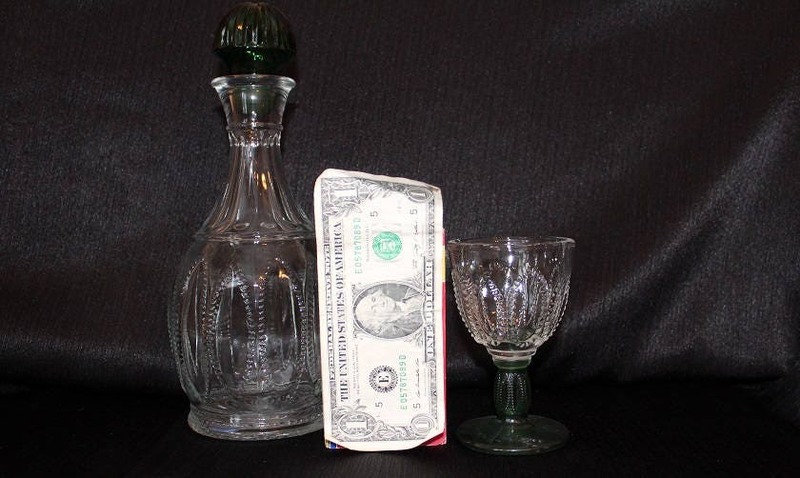 This decanter is in excellent condition with no chips or cracks.